Stoopid Person Of The Day: No Rlly Guys, Bieber Is Totes My BF. 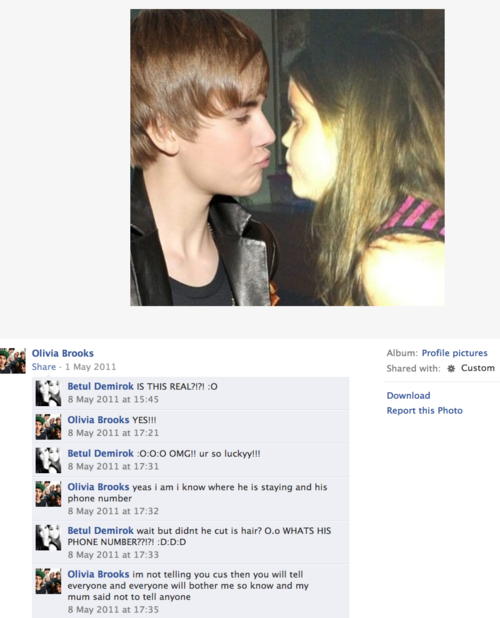 I don’t know who is more stupid, the girl who CLEARLY used photoshop to pretend she’s totally Justin Bieber’s GF, or the girl who believed her. This entry was posted on Tuesday, April 24th, 2012 at 12:13 am	and is filed under Hilarity, Stoopid Person Of The Day, Stoopidity. You can follow any responses to this entry through the RSS 2.0 feed. You can skip to the end and leave a response. Pinging is currently not allowed.